This is an Archive of FAMILY TV SCHEDULE from October, 2014. *Click Here* for the updated listings! 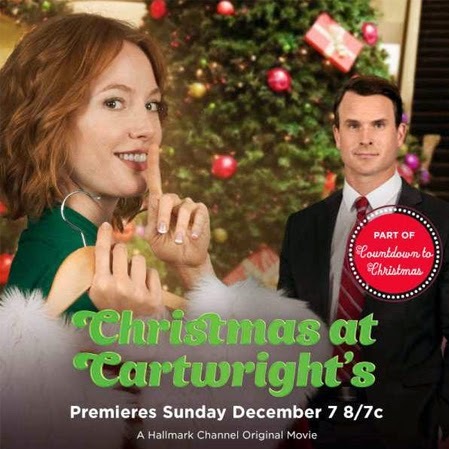 Christmas begins on Hallmark! See the Christmas TV Schedule for listings! Christmas begins on UP! See the Christmas TV Schedule for listings! 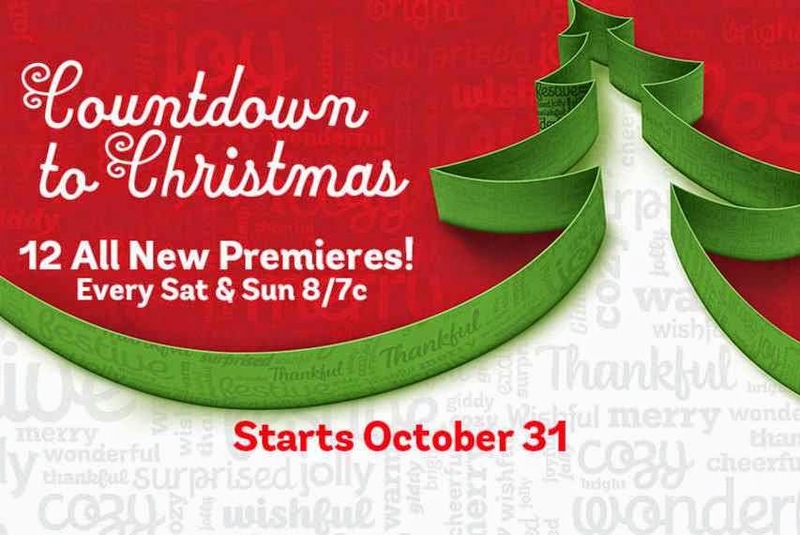 Hallmark's Annual "Countdown to CHRISTMAS" begins Tonight!!! It's THE MOST WONDERFUL TIME of the YEAR on HALLMARK!!! We wait for it ALL Year - and HERE IT IS!!! Grab the family, the popcorn, a warm blanket, and the remote... then, snuggle up and enjoy the endless parade of Family Christmas Movies floating from classic and new favorites... to the complete new originals every weekend! A Princess for Christmas is available on DVD! Hitched for the Holidays is available on DVD! except for the Home and Family show on Hallmark. The Town Christmas Forgot, Gift of the Magi, and more! Enjoy the Christmas Movies, Everyone!!! will host the 4th Annual Hero Dog Awards! via Hallmark: The 4th annual American Humane Association Hero Dog Awards, hosted by James Denton and Beth Stern, will premiere as a 2-hour special on Hallmark Channel as a part of Hallmark Channel’s “Pet Project”, a cross-company campaign designed to celebrate the joy pets bring to our lives, while spreading awareness of pet homelessness and promoting animal adoption. The program honors 8 remarkable dogs, one in each of 8 categories (Military, Search & Rescue, Arson, Guide, Service, Therapy, Law Enforcement, and Emerging Hero Dog, a category that recognizes ordinary pets who have done extraordinary things). This year’s finalists were selected among thousands by America in an online vote and were flown to Beverly Hills to attend and be honored at a red carpet, star-studded gala and award ceremony, taped before a live audience at the historic The Beverly Hilton Hotel. 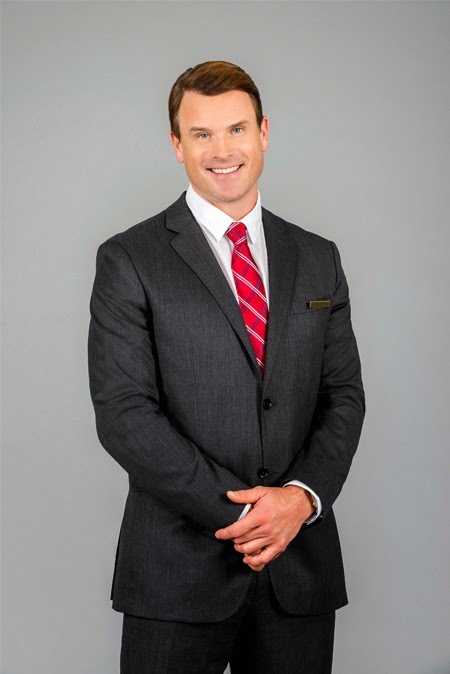 Celebrity presenters at this year’s show included Pauley Perrette, Marlee Matlin, Lori Loughlin, Lacey Chabert, and Bailee Madison to name a few. for our furry friends who have achieved greatness! It feels just like Christmas Eve! Via Yahoo Movies: In the special, Santa narrates the story of Buddy’s travels to New York City to meet his father. Along the way, his unrelenting cheer transforms the lives of everyone he meets and opens his father’s eyes to the magic of the holiday. Elf: Buddy’s Musical Christmas will feature songs, such as: Happy All the Time, A Christmas Song, and Nobody Cares About Santa Claus. CHRISTMAS on CBS includes FROSTY THE SNOWMAN, I LOVE LUCY, a 50th Anniversary tribute to RUDOLPH THE RED-NOSED REINDEER, and MORE!!! "RUDOLPH THE RED-NOSED REINDEER" CELEBRATES ITS 50TH ANNIVERSARY! "I Love Lucy Christmas Special" Will Feature Two Classic Episodes, Including the Newly Colorized "Job Switching," a.k.a. "Chocolate Factory"
CBS's holiday programming this year will be highlighted by the 50th anniversary celebration of the perennial favorite RUDOLPH THE RED-NOSED REINDEER. The festive season, which kicks off with THE THANKSGIVING DAY PARADE ON CBS, will also include festive specials and beloved animated classics. 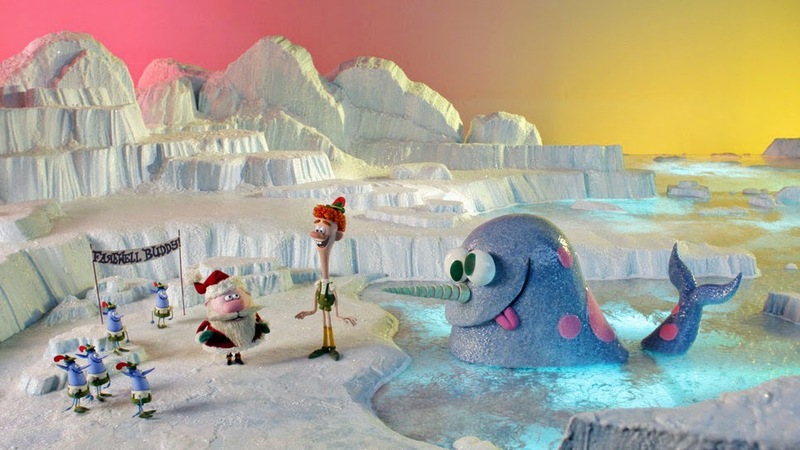 In addition to RUDOLPH and FROSTY's annual visits are encore broadcasts of the animated holiday specials THE FLIGHT BEFORE CHRISTMAS, FROSTY RETURNS, THE STORY OF SANTA CLAUS and YES, VIRGINIA. "Entertainment Tonight's" Kevin Frazier and "The Insider's" Thea Andrews will anchor what is now a CBS Thanksgiving tradition in its 54th year, which will feature portions of the 87th Annual Macy's Thanksgiving Day Parade live from New York City. The parade will include musical performances by the Broadway casts of "Matilda" and "Pippin." The special tells touching stories about adoption from foster care to raise awareness for this important social issue. Inspirational stories of families are enhanced with performances by some of today's most popular artists. All of these Christmas Specials & More have been added to the Christmas TV Schedule. The Network’s First-Ever Series is the #1 Primetime Drama Saturdays at 8 p.m. 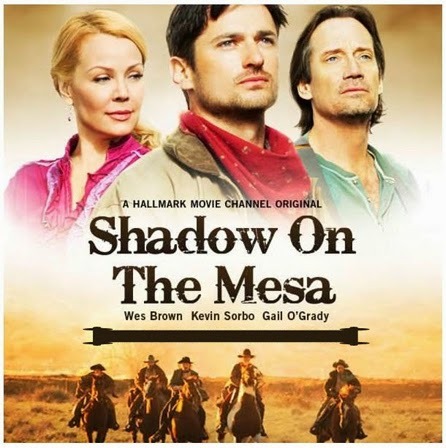 I am honored to share with you today- my interview with writer Lee Martin, who is the screenwriter behind the very successful Hallmark Movie Channel film SHADOW ON THE MESA, starring Wes Brown and Kevin Sorbo. Exactly one week ago, today, her new novel SHADOW ON THE MESA, based on the characters from the film, was released at Amazon, and other book stores. I wanted to share this wonderful news with all of you and my exclusive interview (below) with writer Lee Martin. SHADOW ON THE MESA began as an unpublished novel. When I started writing screenplays, I used it as the basis for one of my scripts. It was on the site for a year before this producer saw my Westerns on InkTip and contacted me. They read quite a few of my Westerns scripts before settling on this story. They could not have been nicer. It took six years to get it made after several renewed options, two times being dropped, and new personnel going for it. As usual, it was rewritten often to please Hallmark, which licenses the movie for showings. The producer still owns it. It was filmed in 2012, premiered in 2013, and went on DVD late 2013. In the meantime, I rewrote the novel, which is now out in hard cover. The novel fills in the story and has 3 romances. It's already on AMAZON. 2. How thrilled were you, when you heard Wes Brown, Kevin Sorbo, Gail O’Grady, Meredith Baxter, Greg Evigan, and Andrew Lawrence would portray the main characters? That is a pretty amazing cast! The producer says they have good luck with good actors because these actors like working close to home and seeing their families at night. We had a day on the set in February, 2012 for one day of filming, which was great because writers are not usually welcome on set. My producer, by then a V.P., arranged it. Being female made it worse because when we arrived on set, they all thought my boyfriend Jim was Lee Martin. It was very funny because the crusty director and producer were greatly surprised (women cannot write Westerns, after all! ), but I loved them both. We met Kevin Sorbo, who was very gracious and tall. Wes Brown is also very tall and gracious. Gail O'Grady is sweet and not a bit tall. We met most of the actors while cooling off in the barn. Jim was fascinated by the "dead guys", young actors who go out and lie down after the action to take the place of the stunt men/actors. especially since one had a Masters from Harvard. Greg Evigan is, I understand, a musician and dancer, which probably is why in the scene in the barn he could spin around so fast to fire. All of the actors were terrific to watch. We also had a tour of their prop warehouse, the largest in the world. It's amazing what's in that place. 3. What inspires you to write your stories and characters, in the “old west”? I write mostly Westerns because I grew up on cattle ranches. My brothers rodeoed. My sister and I followed them around. I got in the arena and took photos in the beginning. I drew them in pin and ink and sold them to the riders and ropers, but after a time, it was not allowed. I started writing in the third grade and never stopped. 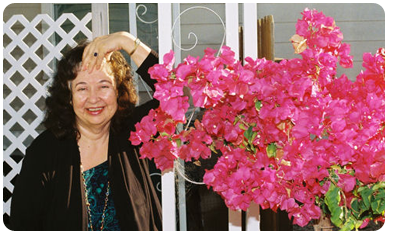 I sold 42 Western short stories before turning to novels, after which I sold 17. After the movie, I sold my SHADOW ON THE MESA novel to make 18. From the beginning, I used my middle name Lee because no one wanted to read an action Western written by a woman. It has served me well. Cowboys, especially, think only men can write a good traditional Western. 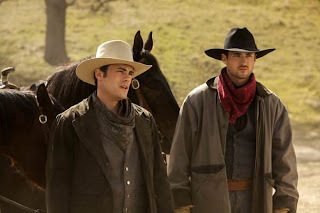 I love Westerns, not only because I grew up in that world, but because it's the best place to be. I live in the characters. The good guys win and get the girl. Everything comes out the way we wish the whole world could be. Westerns are also an American original. Plus, the lead character was named for Wesley, a brother we lost when he was ten. It added something to my feelings while writing it. I know fans are asking for a sequel. The producer has to request it and won't read any offered sequels without that request. But I hope they read the novel because it has 3 romances and brings the families together. And of course, I hope it someday leads to a remake. 5. 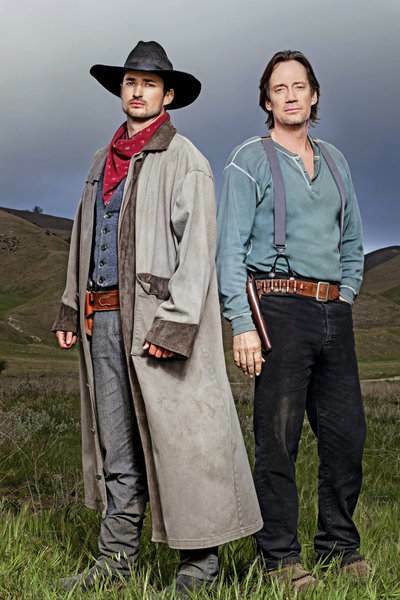 What do you hope viewers will take away from watching or reading your story, ‘Shadow on the Mesa’? I hope readers just feel good in their hearts after reading the novel SHADOW ON THE MESA. In the novel, Rosalie is an Irish orphan, unrelated to Wes' family and ropes the wary hero in the end. There's a surprise romance for the widowed Ray Eastman and the beginning of one for Chuck. It all comes out the way we want life to be. As we end this interview, and ride off into the sunset... I wish to say a very special Thank You to Lee, for doing this interview today with me. I hope many of you have enjoyed reading Lee's insight into the world of westerns and movie-making! You can read my Movie Review of SHADOW ON THE MESA, here. You can order SHADOW ON THE MESA on DVD, or the new Novel via Hard Cover or Kindle Edition, at Amazon. Lee also shared with me she is very grateful to God for the miracle of making SHADOW ON THE MESA. In turn, let me say... we are all blessed by her and her work, which exemplifies the true old west spirit of hard work, dedication to family, and American patriotism. Sit. Watch. It's "Greatest Tails Week" on Hallmark! 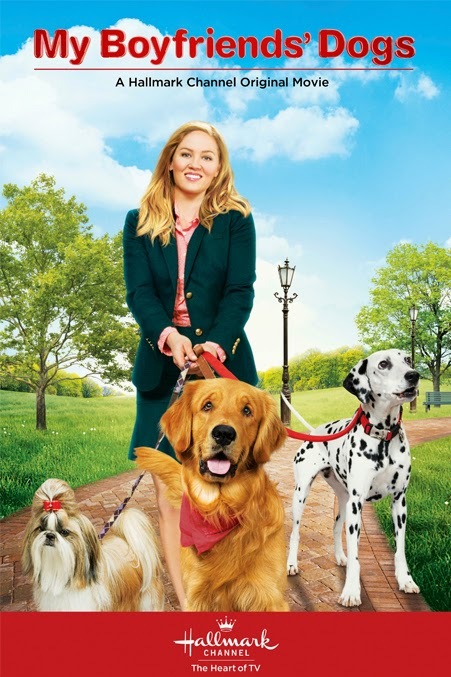 All this week from Monday, October 27th to Thursday, October 30th, the Hallmark Channel will be airing some of it's best well-known dog movies leading up to the Hero Dog Awards on Thursday night. 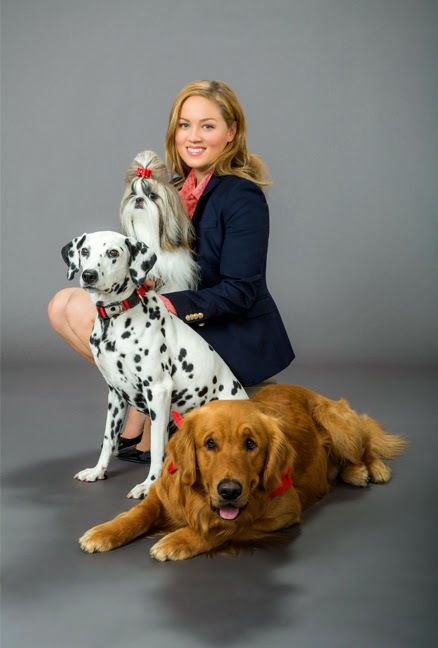 My Boyfriends' Dogs, the newest premiere movie, starring Erika Christensen will air on Wednesday night at 8PM/7c., and then again before the Hero Dog Awards show on Thursday night at 6PM/5c. This Weekend: Lori Loughlin stars in the second 'Garage Sale Mystery' film on Hallmark Movies & Mysteries & discover 'Lyfe's Journey' on UP! It's the last weekend before the Christmas Movies begin on Hallmark! Can you believe it? I just love the anticipation of it all! It's so fun! *Caution: this movie is about a Murder-Mystery; therefore, it is not suitable for young viewers. Encore airings at 9PM/8c. and 11PM/10c. *Caution: this movie will contain content that is not suitable for young viewers. 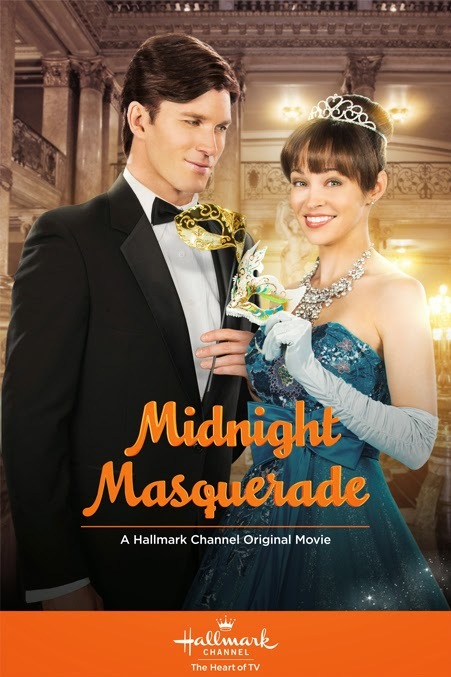 You can see an encore presentations of the Hallmark Channel Original Movies : Midnight Masquerade and My Boyfriends' Dogs. Please Note: the Hallmark Channel will also have a new addition to the 'Good Witch' movies on Saturday night. I will not be promoting or reviewing this movie due to my own personal beliefs. I am simply mentioning it here, because I know many will e-mail or comment below and ask, if I don't explain. Thank you all for being understanding. I hope you all have a Wonderful Saturday & Sunday! The New Christmas Movies begin next Weekend!!! 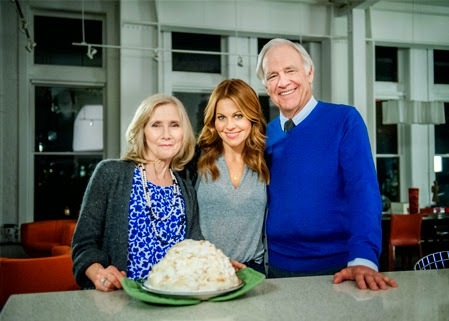 Countdown to Christmas on Hallmark... 1 Week and Counting!!! 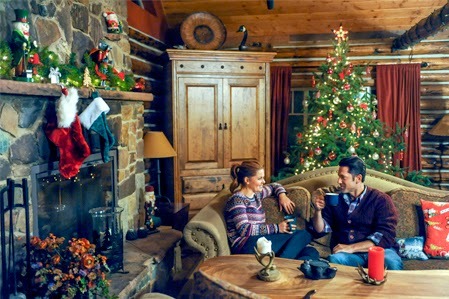 Christmas on Hallmark will begin on October 31st - one week from today with primetime specials! Hallmark Channel will have 'A Princess for Christmas', 'Hitched for the Holidays', 'Christmas with Holly', and more! 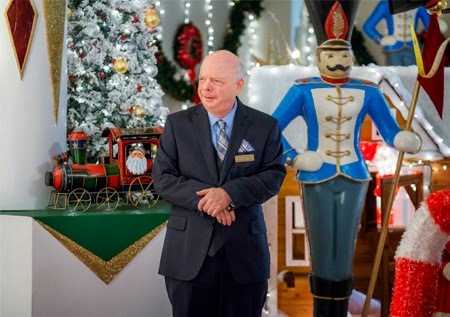 Hallmark Movies & Mysteries will have 'Our First Christmas', 'The Town Christmas Forgot', 'Gift of the Magi', and more! for these movies and more! it's the best time of the year!!! 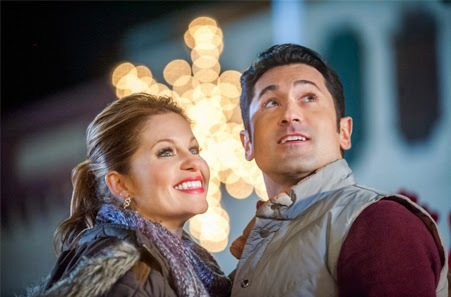 5 Hallmark Christmas Movies from 2014 to be released on DVD! Plus More!!! 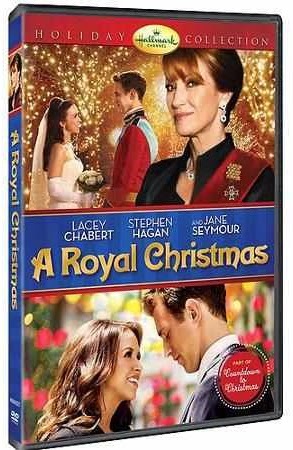 Each year, I know so many of us are eager to watch and obtain the Hallmark Christmas Movies on DVD. Typically, we have to wait 'til the next fall to see which ones are released, and hope they decide to release our favorites. Well, not this year, at least for FIVE of the upcoming Hallmark Christmas Movies, which will be released only days after airing on TV! So, which Titles will be available? 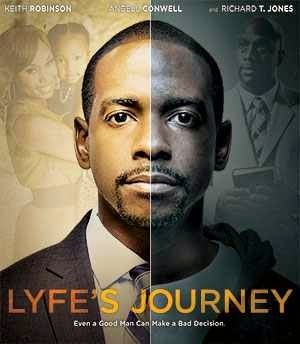 Click here to order DVD! So, why are these Christmas movies being released, this year? According to Business Wire, "Cinedigm Corp., a leading independent content distributor in the United States, with direct relationships with over 60,000 physical retail storefronts and digital platforms, including Wal-Mart, Target, iTunes, Netflix, and Amazon, etc... has made a deal with Chesler/Perlmutter Productions to release family and faith-friendly films. Additionally, Cinedigm has acquired the distribution rights to more than 24 back catalog titles from the Chesler/Perlmutter library. Cinedigm will have all US rights to the films, including digital, video-on-demand, and physical home entertainment." 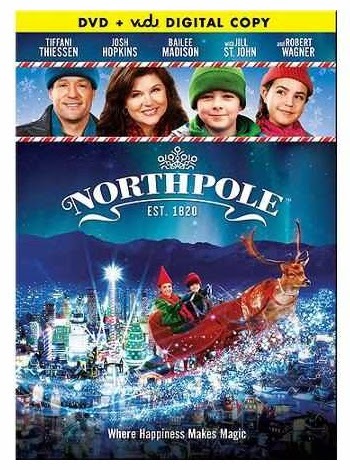 *Northpole is a Muse Entertainment production in association with Crown Media Productions. I hope you all enjoyed this DVD news today!!! 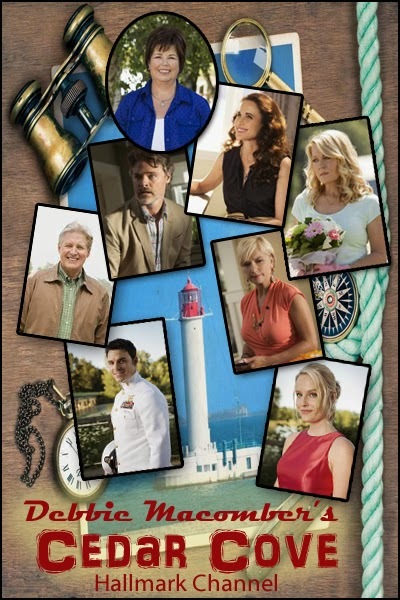 I hope we will see many more of our favorites, past and present, Hallmark Movies released on DVD! 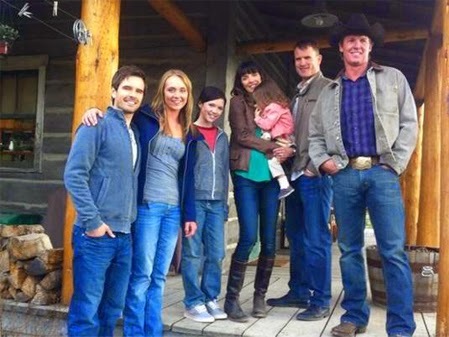 It's been a Wonderful Ride - See the Mid-Season finale for the UP family series #Heartland! This season, like any horse ride, has had it's UPs and downs... Lou and Peter adopted Georgie, Jack had to settle down and take care of his health, Georgie had to deal with a bully, Lou has had to juggle the dude ranch, blogging, motherhood, & more projects, Tim is always unpredictable, Ty lost his job, but got it back again, and Amy has had many difficult horses, however she's always been able to trust her instincts and figure them out. Now UP is riding off into the sunset on Wednesday night at 9PM/8c. (repeat showing at 10PM/9c.) with a Mid-season cliff-hanger for Heartland. via UP: In the “Heartland” midseason finale episode, “There But For Fortune”: Amy's success working with a high-end show jumper ultimately puts her life in jeopardy. 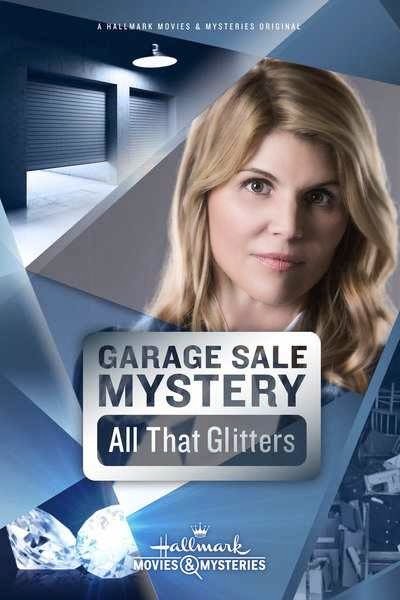 Meanwhile, when Lou gets a book deal, she worries her writing won't be juicy enough for her publisher -- so she decides to embellish the lives of those around her, causing everyone to get mad. 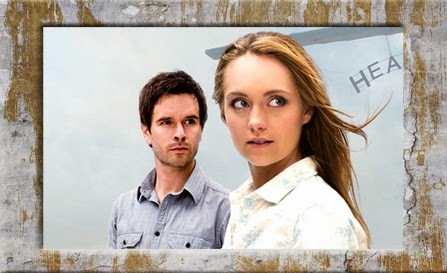 Will Heartland be back for more episodes? I have had confirmation from UP that the series will continue Season 7 and return in early 2015! Happy Trails to you... 'til we meet again!!! via Hallmark-- With Christmas approaching, a struggling single mom finds herself working as a department store Santa Claus, as a real-life guardian angel shows up to deliver good fortune and holiday romance. When tensions arise, and her job and romantic life are jeopardized, only a Christmas miracle can save the holiday season.